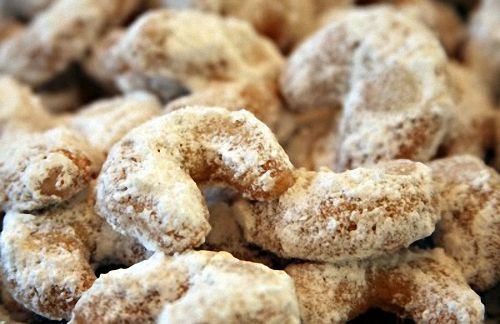 You'll love these easy-to-make German cookie recipes. Germany's cooks have a long history of making rich-tasting cookies. All-natural, everyday ingredients combine to make treats that are truly delectable with an Old World texture and taste that cannot be compared. Enjoy these cookies today! 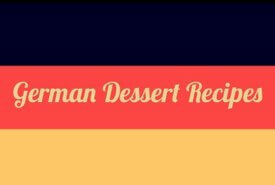 This German cookie recipe of Mrs. Wheeler's is for one of those delicious little European cookies that those of you who have traveled abroad will recognize as typical; yet they are so easy to make — so few ingredients and no trick in their blending! It is the good flavor of nice sweet butter, the brown sugar, and the almonds that give these little cookies their character. We found, when we made them, that we would like the almond flavor to be just a tiny bit more decided, so we took the liberty of adding 1/4 teaspoon almond extract to our second batch and found it an improvement. And we used all sorts of shapes for our cookies besides the crescent — for even squares or diamonds cut with a floured knife would taste just as good when made with this easy cookie recipe. This is an easy lady fingers recipe to make. 5 eggs (yolks), 1/2 pound sugar, 1/2 pound blanched almonds, grated rind of 1 lemon, 1/2 pound of flour. Beat the yolks and sugar for 15 minutes. Add almonds cut fine and grated lemon rind. Mix well, and add the flour gradually. Roll out and cut into strips the length and size of your forefinger. Bake in moderate oven. This old fashioned chocolate cookie recipe by Fannie Farmer is simple and easy to make, yet the results taste totally rich and delicious. 2 eggs, 1 cup brown sugar, 2 bars German chocolate, 1/4 teaspoon cinnamon, 1/2 teaspoon salt, grated rind 1/2 lemon, 1-1/3 cups almonds (blanched and chopped), 1 cup flour, 1 teaspoon baking powder. 8 oz sugar, 8 oz eggs, 4 oz flour, 1 oz butter. Put the flour in a small basin, rub in the butter, and add eggs and sugar; have the tins well greased, and drop the batter on them with a spoon in pieces a little larger than a large penny. Bake in a cool oven. When baked form into the shape of a cone, dip each edge in white of egg, and then each end in colored sugar. They make a nice show for a display window. Yolks of one dozen hard-boiled eggs, one and one-half pounds butter, one-half pound granulated sugar. Enough flour to make a nice soft dough, two teaspoons of ammonia powder (mix with flour), one teaspoon lemon extract. Cream the butter and sugar; then add the grated yolks of the eggs; then two raw eggs, and lastly, flour, and flavoring. Roll out quite thin. Cut into different forms, and bake in moderate oven until golden brown. Sugar, 2 cups; butter, 1 cup; 3 eggs, and the rind and juice of 1 lemon; flour. Directions: Mix thoroughly with hand or spoon, adding sufficient flour to roll out. I can recall Mom making a batch of the crescent cookies. She didn't have any almonds in her cupboard, so she substituted chopped walnuts instead. Absolutely delicious! 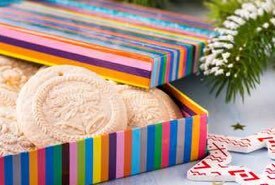 Whether it's the old fashioned wafers or the lady fingers, the resulting cookies are absolutely perfect. And the traditional German chocolate cookies are scrumptious. Your friends and family will rave about them and beg you for more. So why not make some today?